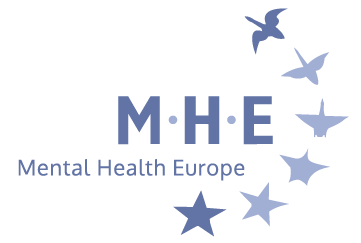 We are pleased to invite you to our joint event in the European Parliament on “Coproducing employment initiatives for young persons with disabilities and mental health problems”. 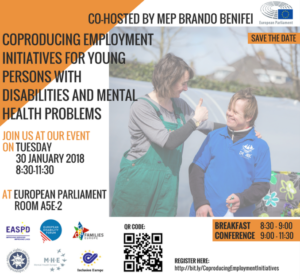 The event is kindly hosted by MEP Brando Benifei and co-organised with the European Association of Service Providers for Persons with Disabilities (EASPD), the European Disability Forum (EDF), COFACE – Families Europe and Inclusion Europe, the European Network on Independent Living (ENIL) and Inclusion Europe. 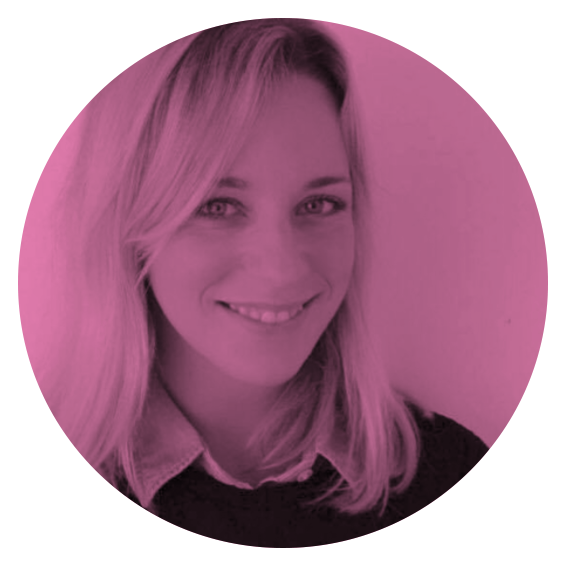 It will showcase how employment initiatives can benefit from the coproduction methodology. It will focus on inclusive employment in line with article 27 of the UN CRPD, linking EU employment initiatives and policies (such as the Youth Employment Initiative) to inclusive practices of employment support for young persons with disabilities from all stakeholders. We hope to see you on the 30th of January!